Dredging in 5 km length of navigational channel to accommodate vessels 11 meter draft Â (50,000 DWT) with appropriate turning area. 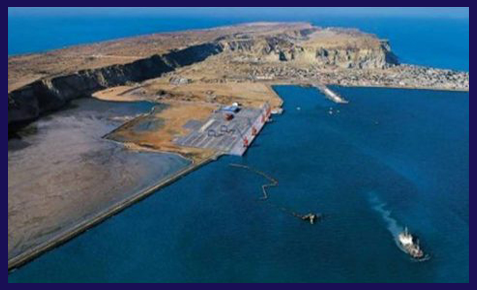 Reclamation of land and associated port works, providing 3 berths of 600 meter total length Â and 200 meter each for general cargo and multipurpose facilities, together with a small boat Â berthing area. Open and covered storage area including provision for the storage of containers. Buildings and equipment for cargo loading and port operations. 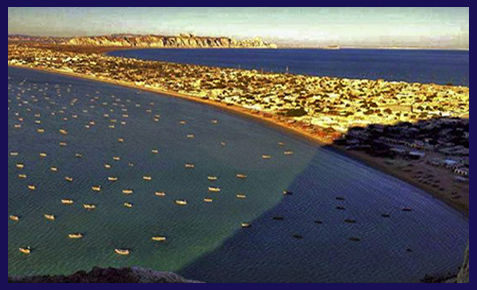 Services, including power generation and desalination plant to meet the needs of the port. 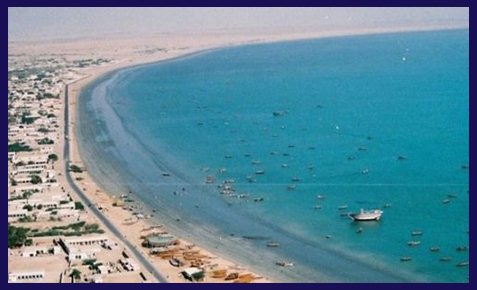 Dredging of navigational channel to 14.7 meters, to accommodate large ships upto 200,000 DWT. 1 Bulk Cargo Terminal (300 meters). 1 Grain Terminal (300 meters). 2 Oil piers to accommodate for 200,000 DWT ships. Future expansion for 2 container berths (300 meters each).